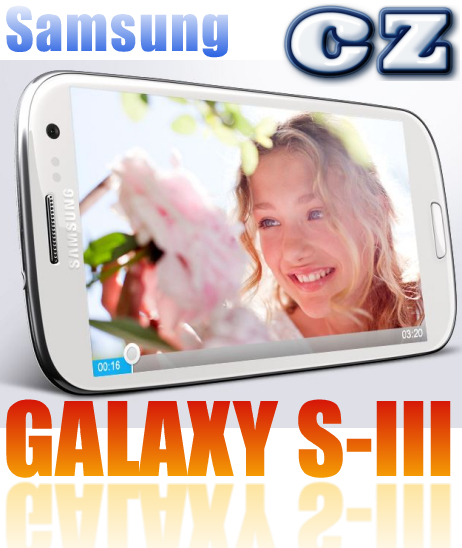 The Samsung Galaxy S3 superphone is out in the open and scheduled to be released around the world in 2012. This is a significant and monumental leap from the current Galaxy S2 phone, and there’s a lot to talk about with Samsung’s newest Galaxy flagship model. There are enough things to discuss about this smartphone that I could write a detailed 10-page report. But today, all I want to talk about is the display, it’s size, and the new form factor of the Galaxy S3 model. Samsung has changed the world of smartphones with its Super AMOLED Plus display. I didn’t think it would be possible to create something of a noticeable upgrade on the quality of the display for the next Galaxy phone. But somehow, they pulled it off. The resolution of the Galaxy S3 will sport a 1280x760 pixel density which will rival Apple’s Retina Display now seen in the current iPhone 4S. But they have not just jammed more pixels into the screen, they also upgraded the color saturation. From the sounds of it, I think the new display will seem more realistic and less “cartoony”. The size of the digitizer is a whopping 4.8” in diagonal. That’s a big leap from the current 4.3” size of the Galaxy S2, but still less than the ginormous 5.3” display featured on the Galaxy Note smartphone/tablet hybrid. They claim that it is still operable with one hand with the extra half inch of screen real estate. The bigger display is a welcomed idea to me, because each increase in size will only take me farther away from the "need" to own a tablet computer. Right now, the 4.3” size of my Galaxy S2 barely keeps me on this side of not buying a tablet. So 4.8” is even better in that regard. The form factor of the Galaxy S3 has changed. I actually preferred the shape of the Galaxy S2 over the Galaxy Skyrocket because of the sharper corners versus the rounded oval shape. This might be a carryover from looking at my iPhone 4 for the previous year. I didn’t like the oval shape when I first saw the Galaxy S3, but it’s starting to grow on me. The rounder, more oval-like shape is probably going to mean that the phone will jam into my pocket a lot easier. It’s also going to mean a smoother more ergonomic feel while gripping the phone. I guess I will quickly get used to that. One of the biggest technological breakthroughs with the display on the Galaxy S3 is its ability to dim the screen when you aren’t looking at it. If you are paying attention to your screen, the camera will be able to “see” your eyes. When it detects that your eyes have gone elsewhere, it will save the battery and go into dim mode, but pop back on when your gaze returns. That is an amazing feat! Lastly, I am hoping to see the US version of the Samsung Galaxy S3 to ship with the oval elongated physical home button on the bottom of the screen. From the pictures, it looks like the button will come with a software button on either side. I love the idea of this, maybe because of my iPhone background. So there you have it. The big beautiful display of the Samsung Galaxy S3 which will certainly catch people's eyes when it is released in the summer of 2012. It's enough to get me dreaming of the third generation Samsung flagship device! SHOP AMAZON WIRELESS NOW FOR GREAT SMARTPHONE DEALS!